One of the things I love the most about Cape Town International Airport is how functional it is. I’ve been to some great airports but they’re so big, you can be literally walking for hours and this is definitely not the case when it comes to Cape Town International Airport. I am therefore going to be sharing some of my useful airport tips with all of you. The location of the airport isn’t too far out of the city centre and you have easy access to Uber cabs and taxi’s if you’d like to and are allowed leave the airport during your layover. Cape Town International is pretty close to everything in Cape Town so if you have the opportunity catch some of the sites. There is free WIFI at Cape Town International Airport, however, it’s only available for up to 4 hours or 1GB of data. Simply connect to the “Airports@Vast” network. Registration requires an email address and contact number. There are little pop up charging stations on the airport so you wouldn’t ever have to worry about a dead battery. There are also random plugs you can literally just sit by and charge your devices while you wait and many food places often have visible wall ports for you to use too. One of my favourite things about this airport is the selection of restaurants that are open 24hours. There is something for everyone so I’m sure you’d find it easy to find a place you’d enjoy passing the times. Some of my favourites are Primi, Spur and Mugg & Bean. If you find yourself parking at Cape Town International, be sure to know that the more convenient the parking area, the more you’ll end up paying. If you’re not planning on staying for more than an hour, Parking area 1 & 2 are most convenient but if you’re planning on staying longer than that I suggest you park at parking area 3 if you don’t want to pay an arm and a leg for parking. Checking in is made easier by checking in online prior to arrival at the airport. There are self service check in posts all over the airport as well to help your check in go easier as well as to print your boarding passing. Checking in online prior also means that you can cut the check in line and head straight to check in your baggage. 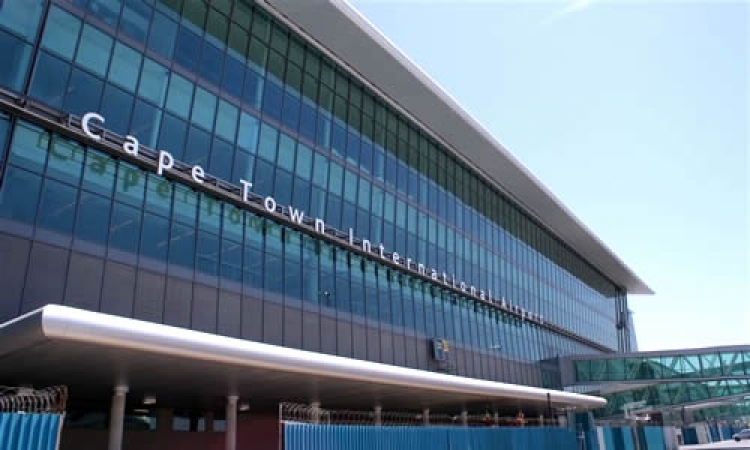 Even though Cape Town International Airport has many seating and waiting areas for you to chill in while you wait to board, if your stay is longer, there are lounges and hotels for you to check in to. You might need a nap, shower or a spot to wait out your hours. Regardless of what type of class you’re flying there are lounges you can enter by buying a day pass. Visit the individual lounge page for more details about the lounge itself and to also find out how you can gain lounge access with just an economy class ticket. If you’re looking for a hotel, the Road Lodge Hotel is located within the airport grounds. They do not offer day rooms or airport shuttle so it requires some planning. There’s also Hotel Verde Cape Town which is a mere 2 minutes away from the airport and they offer a free shuttle from 4:00am to midnight. Christmas is a magical time of year but it can also be very stressful, gifts need to be bought and money needs to be spent, myself and Clicks therefore tried to make it a little easier on you and anyone you might be buying a gift for. They have a range of gifts for men and women and people of all ages. Being the person I am, I focused on home and beauty. Only because I love trying new things with my home and I love beauty products, one can never have enough beauty products or tools. Beauty gifts must be some of the easiest gifts to buy, when it comes to beauty, we like to try anything and everything. As you can see I went for three different hair tools, I love changing up my hair and so do most ladies and sometimes guys too. You can't go wrong with a hair curler, iron or try one of the newest hair gadgets like the Babyliss hair iron brush. When it comes to cosmetics try and steer away from things like foundation if you're not 100% sure of the persons colour. Try something cute, that's already packaged and easy to wrap like the Real Technique brush set I went for or the Sorbet scent me sprays. These are sure to be a hit. Shopping for someone's home can show them how well you know them, it's a personal gift as you'll be adding to their living space. When shopping for a gift that contributes to someone's home you don't want to go over the top. You don't want to give the impression that you're trying to change the style of their home, you're gift should be a thoughtful one. I love home decor and a towel set or a cute little plant always works as a great gift. Try and pay attention to their home aesthetic and buy something that suits it. I got these cute holders and towels on the Clicks online store and these would make really cute gifts too but I'm keeping them for myself hahaha! Anything small, cute and petite works well for stocking fillers. Think little sweets, chocolates, lipsticks, liners, or something like sunblock for those friends and family members who like spending their days in the sun. Little beauty products also work perfectly for stocking fillers and if you'd like to kick it a notch up, you can theme your stocking fillers for each family member. You can do this by making all the stocking fillers nail focused or candy focused or have a beach theme, etc. Summer is around the corner, and with warmer mornings and longer days, we are seeing more and more runners, walkers and strollers out and about enjoying the sun. Unleash your outdoor spirit with friends and family on the 14th of October at the 11th Annual Capegate Clicks Charity Run in aid of The Clicks Helping Hand Trust. With a 5km, 10km and newly added 21km, there really is no excuse to miss this one. It's my first year joining and I am super excited to see all the entrant on the day. Be a part of the fun and join over 3,000 runners and walkers for a fun morning for a great cause. Pets, prams and large groups are welcome to enter the 5km fun run and walkers are also invited to complete the 10km event. For the first time ever, the Capegate Clicks Charity Run offers R73 000,00 in cash prizes to the first places in the 10km and 21km events. Goodie bags and medals will be given to the first 3,000 people to cross the finish line, and for those wanting to really stand out from the crowd, prizes for Best Dressed will also be on offer! Women’s Health will get everyone ready and warmed up for the 5m fun run, so make sure you get there just before the race kicks-off at 07:30. Food and beverage stalls, fun activities for the kids and musical entertainment at the finish will ensure the whole family has an awesome time in the name of helping others. Entry forms can be dropped off at both the information desk or Centre Management’s Reception, located at entrance 8. Payment can be made (cash only) at both locations. The entry form is downloadable from www.capegatecentre.co.za and online entries can be done via www.enteronline.co.za. If you would like to enter a group of 20 or more for the 5km fun run, please contact Capegate management on 021 981 2331 or reception@capegatecentre.co.za. Online entries close at midnight on 8 October and in-centre entries close on 9 October 2017 at 5.30pm. Registration will take place on 12 and 13 October between 6pm and 8pm at the Capegate Centre Court and last minute entries will also be taken on race day between 5.30am and 6:20am. www.capegatecentre.co.za or the Capegate Shopping Centre Facebook page. Ever wanted to travel the world as a student but never had the budget to go along with the many amazing escapades you dream of? Well to be honest with you most of us have gone through that, myself included. The truth is that being a student often leaves you with very limited resources that could not afford you the privileges of travelling around the world. I would know, I studied for 7 years and now almost 10 years after being out of school I’ve finally booked my first international trip. It is more affordable to dream about relaxing on a remote beach with a cocktail in your hand, or visiting the world’s most sort after attractions, than it is to actually pay for it (even if you are not a student and have a steady income). The good news is that travelling, exploring and experiencing the pleasures of this glorious planet might not be as far out-of-reach as what most students think. I’ve seen people leave their jobs and travel the world; they work in one country until they make enough money to move on to the next. I have been searching online for different budget-friendly travel tips and I came across many insightful websites. For example, the online travel agency- Travelstart offers their customers amazing discounted flight specials which in my opinion might as well be free because it is so affordable. In addition to their flights specials page they also have a student flights page which covers various topics like; the best travel periods, the most popular student travel destinations, how to book cheap student flights, how to book cheap flights without using a credit card, and so much more. It is definitely a fun and informative read and I found it be clear and extremely helpful. My suggestion would be to stay connected to these type of pages-make Google your friend and you will definitely be able to find affordable travel deals that would not break your bank. This way when you’re ready or see a deal you might be able to afford you already know where to go and what to do. I hope that you guys found this as useful as I did. To book your flight tickets and stay up to date with the latest travel specials follow Travelstart on Facebook, Instagram, and Twitter and do not forget to connect to their website for irresistible travel deals. Always will be sponsoring the donation of sports bras to underprivileged girls through its partnership with GOP (Girls Only Project) *. They’re doing this to highlight the fact that many girls cite the lack of feeling comfortable and confident as a reason for dropping out of sports. Earlier this year, around the time of the Olympics, Always ran the third part of its #LikeAGirl campaign that highlighted the issues around confidence and sports for girls. Data from the most recent Always Confidence & Puberty Survey shows that by the end of puberty, half of girls surveyed (51 percent) will have quit sports. Despite the known benefits of playing sports, girls reported that they didn’t feel like they belonged in sports. Further, 67 percent of girls felt that society does not encourage them to play sports. In addition, research by local organisation Girls Only Project (GOP) shows that another factor related to a girl’s lack of confidence when playing sports is due to not having proper sports bras. The girls surveyed often mentioned breasts as an issue when discussing participation in sport. Because the bras are so expensive, girls simply don’t wear them and either don’t want to play sport because of this, or play but are incredibly uncomfortable and self-conscious. Always’ mission is to stop the drop-in confidence that girls experience during puberty. They will consider this movement to be successful if they make people aware of the shockingly high number of girls who are quitting sports every day, and rally society to encourage girls that they do belong in sports and should keep playing #LikeAGirl – because sports help build girls’ confidence, especially at the critical stage of puberty. I for one know exactly how these girl’s feel, I’ve been in the same situation, where I found that bras were too expensive and basically just didn’t bother purchasing them. I was never the sporty type but I love gym and this was an issue that came up when I started shopping for workout wear. It always made me uncomfortable not wearing the proper bra. I recently went braless for a day and recorded it, the braless trend is not only the most comfortable thing on earth but it’s now a fashion trend too. You can have a look at my braless article here. • 50 million girls around the globe enter puberty every year, experiencing transformative changes at a critical life stage that is often filled with self-doubt. • An Always survey revealed that the start of puberty and the first period mark the lowest moments in confidence for girls. More than half of girls surveyed lose confidence during puberty and many never fully recover. • 7 out of 10 girls feel they don’t belong in sports; 67% of girls feel that society does not encourage them to play sports. • By age 17, at the end of puberty, half of girls (51%) will have quit sports. • 7 in 10 girls say there aren’t enough female role models in sports today. • Two-thirds of girls agree that playing sports brings them increased confidence. GOP will be handing over the bras to the young girls at Wigen Heights on Wednesday, 2 Nov and Luthyi School in Hammersdale on Thursday, 3 November. It’s been forever since my last post and it seems whenever I decide to write a blog post this is exactly how I start it. It shows the inconsistency between my posts but believe me it wasn’t by choice. Sometimes we find that the inspiration you once felt disappears and that Is when you should take the time to pull back and review exactly what you'd want your next step to be. I started working full time and life has been hectic as always but what I’ve come to realise is that I don’t want to give up on this blog, I don’t want it to fail, I don’t want it to become a pain or just another job and I want to find the passion that I once had for writing and doing posts. This is my official return to the blogosphere and what does this mean? It means that you’ll be seeing regular look posts, videos and just an all-round frequently updated blog. Social media plays a large part in what I do but it’s not my blog, I’ve been neglecting this blog. So, to kick it off I’m starting with this very post, a birthday post (because today’s my birthday!) :D.
Here are 26 things I’ve learnt since turning 26. 1. I’ve learnt that you’ll lose friends along the way and that’s okay, if they’re not meant to be in your life they won’t be. 2. That I probably won’t ever give up McDonalds. 3. I’ve learnt that your family can become some of your best friends. 4. That since moving in with Hishaam, we have even more fun than I would ever imagined (people warned us it would be hard, it’s not). 5. That I’m really concerned with drinking 2 – 3 litres of water a day. 6. I’ve learnt that people will judge you no matter what so always stay true to yourself and stand up for what you believe in. 7. I’ve learnt that even though no.6 is true you also need to be respectful of other people’s beliefs (it’s a two-way street). 8. That people don’t know how to be happy for you but you should always be happy for them. 9. I’ve learnt that you should always jump at the opportunity to try new things. 10. That you shouldn’t air your dirty laundry on social media. One day you hate someone and the next day you don’t, it makes you look stupid. 11. I’ve learnt that it’s important to get to know your work colleagues, I’m lucky that I work with a bunch of cool people. 12. That Dogs can be better than humans, I love them so much. 13. I’ve learnt that KARMA is a real B* and those who do wrong unto others will get what’s coming to them. Let KARMA do her job. 14. I’ve learnt that I love life. 15. I’ve learnt that most people don’t end up working in the field that they studied in and that’s okay because I love what I do. (I’m a social media specialist but I studied law, just in case you didn’t know). 16. I’ve learnt that I have a bunch of amazing friends (you guys know who you are). 17. I’ve learnt that I love driving fast cars even though Hishaam would never give me the opportunity to if we had one. He’d just hog it lol. 18. I’ve learnt that shoes are still my favourite part of an outfit. 19. That I won’t find a better shade of red than Ruby Woo by MAC. 20. That I love photography. 21. That I can’t wait to travel. 22. That music festivals give me life. 23. I’ve learnt that I want to adopt an animal/s or a child one day when I’m ready and able. 24. I’ve learnt that once you get rid of negative energy and people things start falling into place. Therefore, surround yourself with positivity. 25. I’ve learnt that people might think the way I live life isn’t the right way. I believe that there is no right way, you need to live your life for yourself and no one else. 26. Finally, I’ve learnt that being happy and healthy are the most important things and I count myself so lucky because I am genuinely happy every single day. I really hope you guys loved this post, let me know your thoughts in the comments section below or tell me if there's anything specific you'd like to see. It’s really great to be back J xo! I know it’s been forever since my last blog post. Things have been so hectic; I’ve only been blogging when I need to these days. This isn’t ideal for me as I would prefer expressing myself more consistently but you gotta do what you gotta do. Just over two months ago I took it upon myself to become more active once again and to try and eat healthier. I’ve always been one to be in and out of gym and just before I made this decision I was slacking so badly. It must have been about 7 months that I’ve been eating what I want and never spending an hour at the gym. As fate had it I discovered SkinnyMint tea around the same time I decided to head back to gym and change my diet. It gave me the motivation I needed to do it correctly and really give it a try. I decided to do the 28 day teatox which comes highly recommended by the SkinnyMint team. My package arrived and it came with two packets of 14 day teatox (they were out of the 28 day packaging), two packets of the 7 day night time tea cleanse, a calendar featuring some tips to guide you through your teatox, a photo frame to put that end result picture in it and a letter including all your instructions. I started my teatox the very next day, I loved the smell and taste of it, I couldn’t wait for the evening so I could drink my first night time cleanse which has to be taken every second night. I didn’t notice an instant change within the first couple of days, my appetite had subsided a little but I tried to eat as healthy as possible and workout every day. By the second week I felt lighter, less bloated, my digestive system was so much better and I had quite a lot of energy. There were times I had attended events or parties and I stayed out late which through me off course every now and then. There were times where it was hard to resist the bad food and I just gave in or didn’t take my tea at night or in the morning and even with this inconsistency I received amazing results. I would definitely recommend SkinnyMint tea to anyone who’s trying to lose weight or tone up or anyone that wants to start a healthier and more active way of life. Below you’ll be able to see my before and after pictures. These results were achieved through trying to eat healthy as much as possible and working out regularly. I also a post a few of the meals I’ve had throughout my teatox. Egg whites and tuna were a staple in my diet. If you want to make a change and try the teatox for yourself, you can purchase yours right HERE. After my whole CATFISH debacle I’ve been feeling less and less inspired to do fashion posts on the blog. It might just be that I’m not quite feeling the 70s hippie trend that everyone has going on right now or that the stores have a whole lot of crap in them. It must be three weeks since I’ve shopped and nothing seems to catch my eye or interests at all. Anyway… I need to keep content following I thought I would do a lifestyle post about water. What I can’t seem to fathom is how many people actually go days without drinking water. Water is the main component in my diet and I try to at least drink two to three litres a day. Over winter we all slack on our dietary musts and water is definitely one I slack on during the colder months but with summer fast approaching I’m trying to get back on track. People don’t seem to realise that the adult body is made up of 50% - 65% of water; it varies depending on the person. The more muscular you are, the more water your body has. The more body fat you have, the less water your body has because body fat doesn't hold much water. Water is life and it contributes to everything in life. Water helps your skin stay plump, moist and healthy, that’s why people who don’t drink much water wrinkle much more and much faster than people who do drink the required amount of water. The body needs water to get rid of toxins and not drinking enough water can result in constipation, headaches, acne and repeated urinary tract infections. Urination is required for the removal of the toxins from your body. When your water levels are low it makes it difficult for the body to eliminate these toxins. The body then tries to remove the toxins through the skin causing acne and or aggravated eczema. The increase in body toxins causes headaches and fatigue. Drinking a glass of water before eating helps your body digest the food better and also makes you eat less. I’ve personally experienced these benefits from water. I’m someone who tends to go out quite a lot and I don’t always get the required hours of sleep. I've always expected my lifestyle to catch up with me but I don’t see my skin diminishing or drying out. My digestive system is actually better than it’s been in years. I was always concerned that the aging process might start catching up with me and that I would pick up lots of weight due to lack of exercise and just eating whatever it is I wanted. I do believe that it is my water intake that’s kept me on track. So how much water is enough water? Two to three litres a day is usually the recommended about or a 250ml glass eight times a day. If you’re exercising you should drink an additional 0,25 litres for every 20 minutes of exercise. Like with all good things water too comes with a warning label. Drinking too much water too quickly can lead to water intoxication. Water intoxication occurs when water dilutes the sodium level in the bloodstream and causes an imbalance of water in the brain. Water intoxication is most likely to occur during periods of intense athletic performance so it doesn’t quite apply to the average Joe. Basically what it comes down to is if you drink enough water you’ll age better, you’ll live healthier, your body would function better and your food would digest easier. Water is the biggest element in weight loss and just all over health. What I mentioned above is only the tip of the iceberg when it comes to the benefits of water on the human body, make the effort and start drinking water today. If you hate the taste of water try these amazing water weight loss recipes here. So, I’m not sure if most of you know about the hit MTV show called CATFISH? It’s a show about the truths and lies about online dating. The idea for the show came about when one of the hosts fell in love online and discovered the chick he fell in love with, wasn’t actually who she said she was. Two of his friends documented the entire thing and presented it as a project at their University. Catfish was so popular eventually it was picked up by MTV and now I’m one of the millions of people who watch it religiously. Catfish is a verb and is defined as “luring (someone) into a relationship by adopting a fictional online persona”. I don’t think people that catfish realise the damage they cause. Especially to the people that they are actually building these fake relationships with. I totally get the attraction to it all, pretending to be someone you’re not and living a life you ultimately don’t have. These people find power and confidence they might not have in real life by hiding behind a keyboard or cell phone. Recently I have become a victim of catfish situations, not in the way that someone has built a false relationship online with me, but in the sense that someone is pretending to be me. This person has been using my pictures to build false relationships with other people. Over the past three months, about six or seven people have reached out to me asking if I know them or if we’ve spoken before and then warning me that someone was out there using my pictures and pretending to be me. This person has used my full name, she/he (because yes girls sometimes pretend to be guys and guys sometimes pretend to be girls) has used my first name but with a different surname and there have been times when it’s a completely different name but all the same pictures. There’s not much I can do about them using the pictures because once it goes online it’s basically public property. In the beginning I wasn’t too bothered by it, I just explained to those people that reached out to me it wasn’t me. They all apologised and that’s where it ended. Today however I had a different experience. This morning my Facebook messenger made the usual pinging sound it makes whenever I receive a message. Once I decided to check it I saw I had a message from someone I’ve never chatted to, seen, heard of or met before. Let’s call this someone John lol. “You’re like the 6th person sending me these messages. There’s a girl stealing my blog pictures. She uses them and pretends to be me. I’ve never spoken to you before; I have no idea who you are. I have a boyfriend of nine and a half years so I have no idea what you’re talking about. I don’t chat to people I don’t know, let alone guys. John: “So you don’t know the guy you spoke on the phone to this morning? Anyway I think it’s like I’m the 6th person so let’s keep it there. I’m glad to hear you don’t know me so please stay away from me because if you’re not going to I’m going to tell you boyfriend that you’ve been busy with other guys. Stay the F#%K away from me please and tell the pretenders as well to leave me alone please. I don’t care or even want you. I eventually ended all this by telling the guy that I seriously had no clue who he was. This really gets to me! I can’t believe that people can go around creating relationships with others and then end up causing them this much pain. You are knowingly committing to hurting people who have no clue what craziness they are getting themselves into. People are out there searching for friendships or a relationship and you’re taking advantage by stomping all over them. I’m asking you to stop using my pictures, it’s not only creepy but people are getting hurt and you’re causing an inconvenience in my life. I’m receiving anger from people I’ve never spoken to before because of the things you’re doing to them. If you don’t stop I have no problem explaining to everyone that there’s someone out there trying to hijack my life but you need to remember none of these relationships are going to last because it’s not real. One day you might find someone that likes you for you and you’ll end up losing them because you’re pretending to be me. Things like this start out as fun and games but people are starting to get hurt. I truly hope you read this and realise you don’t have to be someone else to be liked or loved. Just be yourself. After I wrote all of the above, John begged me to give him a call so that he could hear whether my voice sounded different (this guy really couldn’t believe this was happening). I then remembered that the first girl who approached me with this gave me the girl’s real name and number (this was before she started using my name and just used my pictures). John then also sent me the number from which he and “the other Jade” were communicating from. I have found that all these people have been communicating with the same girl. I now know her name. I know where she lives and I also have her cell phone number. So “other Jade” I really hope this is end.